Capcom appears to be sparing no expense with Resident Evil 6. In a message posted to YouTube this week (below), executive producer Hiroyuki Kobayashi characterized Resident Evil 6 as being the largest project undertaken by Capcom to date, with some 600 developers involved worldwide. "Between the 150 staff members in Japan and everyone around the world, we have more than 600 people involved. A lot of work has gone into this game," Kobayashi said. "Resident Evil 6 is by far and away the most ambitious game in the series." 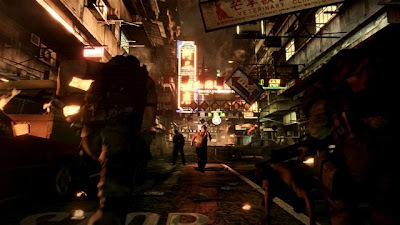 With Resident Evil 6, it appears as if Capcom may seek to reconcile Resident Evil's survival horror roots with more recent installments' action-oriented gameplay. Later in the video, producer Yoshiaki Hirabayashi indicated that the game will be a blend of action and survival horror, which the team is calling "dramatic horror." Announced last week, Resident Evil 6 features a split plotline, with one fork following the travails of Leon S. Kennedy in the US and another taking up with Bioterrorism Security Assessment Alliance member Chris Redfield in China. The game is expected to arrive for the Xbox 360, PlayStation 3, and PC on November 20. For more information, check out GameSpot's previous coverage of Resident Evil 6.